Published: Nov. 15, 2015 at 03:17 p.m.
Jacksonville Jaguars defensive end Tyson Alualu recovers Baltimore Ravens quarterback Joe Flacco's fumble. Colts Frank Gore fumbles at goal line, Jaguars recover. Published: Dec. 3, 2014 at 08:46 p.m.
Cleveland Browns quarterback Brian Hoyer is picked off by Jacksonville Jaguars linebacker Telvin Smith. 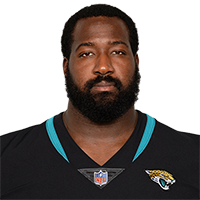 Published: Oct. 5, 2014 at 03:33 p.m.
Jacksonville Jaguars defensive end Andre Branch intercepts Pittsburgh Steelers quarterback Ben Roethlisberger's fumbled ball after he is sacked by Jaguars defensive tackle Abry Jones.